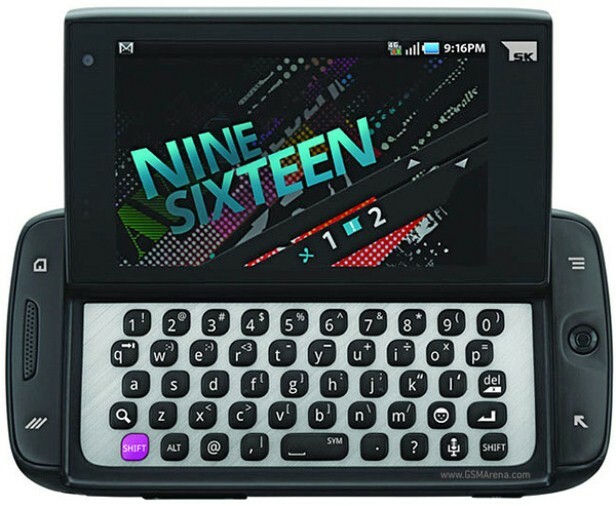 Launched by T-Mobile at the end of April 2011, the SideKick 4G is also known as the T839 model from the same brand. This is a powerful smartphone running on Android OS v2.2 (Froyo) that gained many clients’ appreciation. If you purchased this device soon after its official launch, you probably own it for over 2 years now. After using it for such a long time, the phone might generate a few software errors and become slower. In such situations, it’s useful to hard reset the T-Mobile SideKick 4G, as this is one sure way to get rid of all possible viruses. By erasing the user data stored on the internal memory, the factory restore procedure is going to reboot the device and bring it back to original state. This also means that all media files and similar documents have to be saved in advance. Coming with a 1 GHz Cortex-A8 processor and a Li-Ion 1500 mAh battery, this phone has both a 2G and a 3G network. It is also equipped with a QWERTY keyboard and a TFT capacitive touchscreen with 16M colors. In terms of photography, it has two cameras – the one in the front is a VGA camera, while there is also a 3.15 one placed on the back. Having a Wi-Fi 802 hotspot and many apps (Youtube, Gmail, Picasa), its speed can reach up to 7.2 Mbps. If you began experiencing a few minor issues such as frozen apps or the phone takes longer to restart, you should feel lucky to learn that you can also soft reset the SideKick. Thanks to the removable battery that it comes with, the phone can be easily brought back to a functional state by removing and reinserting the battery. Make sure this one is fully charged and the phone is turned off during the operation. Try switching it back on afterwards to check if there is any improvement. Moving on with the master reset itself, you should be aware of the effect it will have on the SideKick 4G. To quickly explain how it works, all data will be erased during the process, which is why we suggest creating a backup. This one can be made using the Phone Copy application can is free to download here. Alternatively, you’re free to transfer the files onto a cloud or your computer. With the phone turned off, press both Volume keys (1) and the Power button (2) at the same time. Wait for more options to appear on the screen and select Delete all user data with the Volume Down key. Tap Power to continue, and then use the same Volume key to confirm: Yes – delete all user data. Press Power to select the previous option; if prompted, press the Power key one last time to choose Reboot System Now. The device will now automatically reboot – it will erase the data as mentioned before, then it will reinstall a new operating system and make sure all the configuration is brought back to initial state. When this will be done, the T-Mobile will restart, and then you can use the backup to recover all important files.